This great water filtration jug will save you a ton of money on costly bottled water. Luna comes with 1 filter already in the box, and our filters only need to be changed after 3 months of average use. Bottom of pitcher contains rubber grip to help reduce the risk of a spill. Healthy Water Makes For A Healthy Life! Our water filtration system utilizes German-developed Multifunctional Ecomix D media based on activated carbon to remove lead, chlorine, sand, rust, dust, copper and other dangerous chlorination by-products from your tap water! Rest assured that you and your family are safe due to Luna’s BPA-free plastic! Why Miss Out On This Amazing Opportunity To Protect Your Family? Make sure that your kids are drinking crystal clear, fresh and healthy water by ordering Luna. Don’t Hesitate! Order Yours While Supplies Last! Click Add To Cart Now! 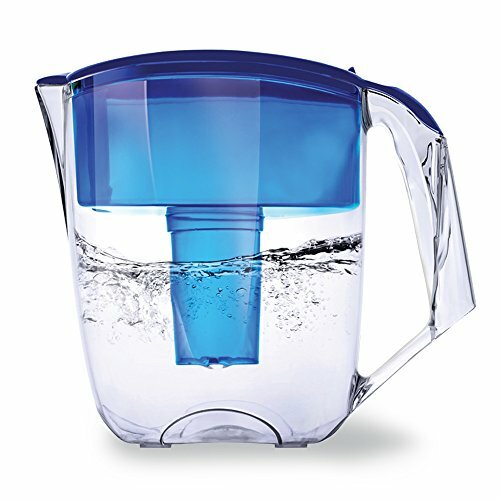 BETTER QUALITY, LOWER PRICE: Same Quality, Lower Price – Lowest price for an even better quality than top brands such as Brita!